If you buy a mobile phone handset, you are entitled to expect that it works, that it fits the description with which it was sold and that it’s of satisfactory quality. If you notice that something’s wrong with your phone and you haven’t had it for a long time, you are well within your rights to take it back and ask for a refund. If you have had a phone for a while before a fault becomes apparent, you should still be able to get a refund. Take the phone back to the shop and explain what the fault is. Do not let the trader tell you that you should take it up with the manufacturer – this is not the case - it is the trader’s duty to rectify the problem. However, the trader can offer to have the handset repaired or, if a repair is prohibitively expensive, to give you a replacement. Any repair must be carried out within a reasonable period of time, and must also be satisfactory. If a replacement isn’t possible, you are entitled to a refund – although be warned: you may not get the full cost of the phone back, as the trader can make a deduction for the use you have had out of the phone. A mobile phone handset bought online or over the phone will be covered by the Distance Selling Regulations. This means that you have a ‘no-quibble’ 7 working day period to request a refund. In order to make and receive calls, or surf the Internet, your mobile phone has to be connected to a service provider’s network. This may be through a contract (usually 12 months long) or alternatively a pre-payment scheme in which you buy an amount of airtime or Internet access before you use it. Whichever way you buy airtime, you will not be entitled to a refund if you simply have a change of heart. Although entering into a contract is cheaper and more convenient than having to ensure that you have enough credit at all times there are disadvantages in that you cannot change your tariff or cancel the contract within the contract period. If there is a fault with your handset, take it back to the shop. 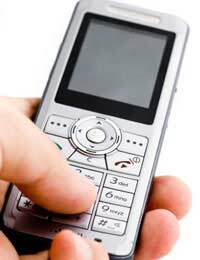 If there is a problem with your SIM card or the line, contact your network service provider and ask for compensation. If you have not been able to make calls, or the service has been consistently unreliable you can ask for a refund or compensation. If you buy a second hand or reconditioned mobile phone from a shop or business, you are still entitled to expect that the phone will be of reasonable quality, fit for purpose and as described. However, you have to take into account that the reduced price of the goods will be relative to the longevity of the handset, so your expectations for the second-hand phone should reasonably be lower than your expectations for a new phone. If you try to fix your phone yourself, or have it modified in any way that is inconsistent with the manufacturer’s guidelines – then you may invalidate your warranty and the trader will not be responsible for repairing, replacing or refunding the cost of the phone. So whether you’re buying a mobile phone, entering into a contract with a service provider or simply buying a SIM card with a pre-paid amount on it, make sure you’ve read the terms and conditions. You are most likely to encounter problems with your handset, not least because mobile phones have become so technologically advanced. Save yourself a job - before you traipse back to the shop, make sure there really is a fault! Some phones can only be sold with insurance in place, but if there’s an option, as to whether or not to have insurance, ask yourself whether mobile phone insurance is really worth it – over the lifetime of your phone, how much will the monthly instalments cost you, versus how much you might spend on replacing your phone. Also, if you’re on a contract you might be entitled to an upgrade after a certain period of time or on renewal –so it’s worth doing the maths first!